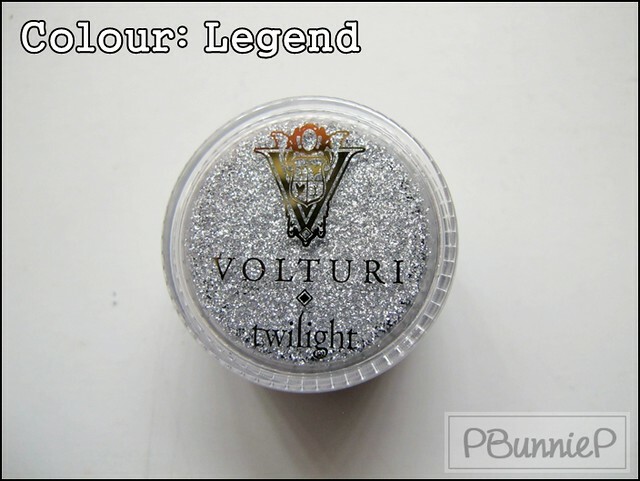 If Twilight has got you hooked, then you may have already tried out the line of VOLTURI makeup. 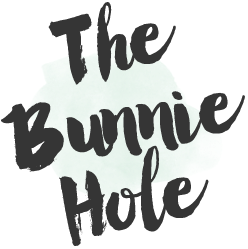 The line consists of everything from body sprays to eyeshadow, black lipgloss as well as makeup pallets and more. What caught my eye firstly were the loose pigments packaged in simple plastic jars that allowed the colours to show through and yet I wasn't ready to commit to a line of makeup that I've never heard of before, based off of a movie that I didn't watch and ringing a price of $10CAD (+/-) per eyeshadow. After all, this was supposed to be drugstore makeup...even the body-spray was ridiculously overpriced. Funny how these things are but the entire line was getting pulled off the shelves after a few short months on display. The makeup went on sale for $0.99! Well imagine that! I scoured the bins and found this intense metallic silver still left over. I picked it up without hesitation and decided that it was worth a try! And what did I think of it??? The shadow itself looks very chunky, reminding me greatly of Solar Bits (limited edition pigment like product released by MAC). Applied heavily, it gives an INTENSE silver sheen and looks almost wet. Rub it around a bit more and it becomes a sheer wash of silver sheen. 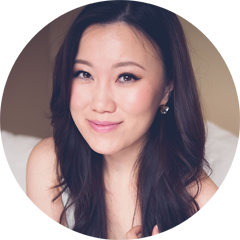 Applied thickly, this pigment definitely requires a wet/creamy primer underneath to hold it in place. As a sheer wash, it wears decently on its own. I would actually suggest finger application over brushes with this, as it will let you spread or rub in the product for the desired effect. I can see this as a very versatile product for those who like cool toned colours (not sure if I like it on me yet) and it can be layered sheer over an existing colour for an over-shadow effect to add dimension to the lid. Because of the possibility of application method, it can produce too very different effect and gives you more options to work with. At $10 dollars, I do think its over priced (especially for drugstore makeup). At 99cents, it was a good buy! 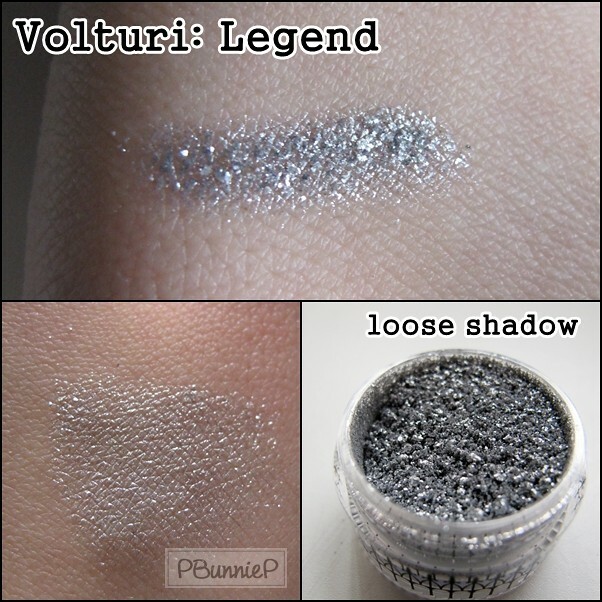 Feel free to share your thoughts on any other VOLTURI makeup that you've tried.